Beet juice or puree has historically been used as a natural food dye. The bright red color we associate with red velvet cakes/cookies/etc, doesn’t need to come from a bottle. 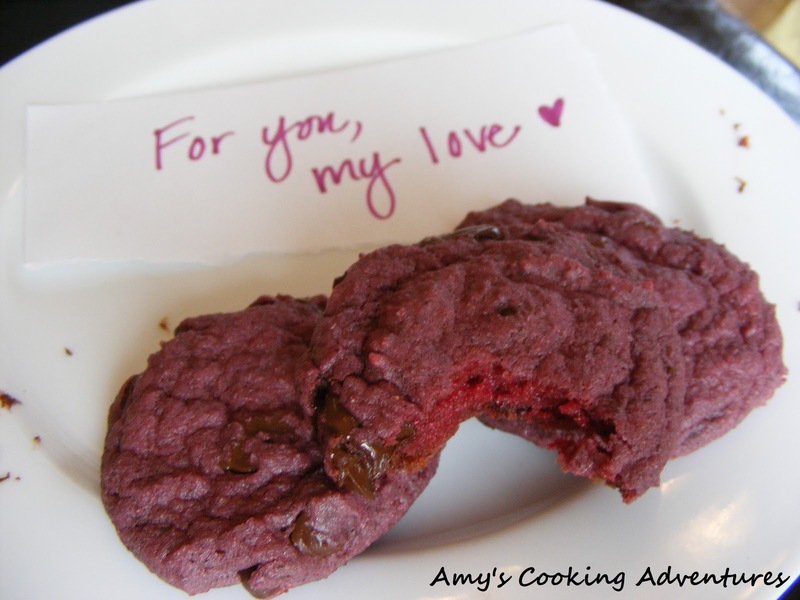 Instead, I give you a healthier and dye-free version of a red velvet cookie, one that you won’t mind even your littlest sweetie eating! Add the egg, beat until very fluffy. Add the beat puree, baking soda, and vanilla and mix. 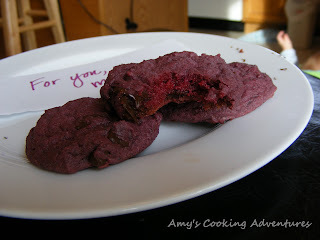 Slowly add in the flour until desired consistency (you may need more or less depending upon how watery your beet puree is). Cut stems off of the beets. Run under water to remove any dirt (scrub in needed). Put the whole beets in a medium saucepan and cover completely with water. Cover and bring to a boil over medium-high heat. Turn heat to medium and continue boiling the beets for 30 minutes or until beets are tender and can be pierced easily with a fork. Using a slotted spoon, remove beets from the water. Set aside to cool. Reserve water used for boiling. Once the beets are cool enough to handle, rub them gently to remove the skins; discard skins. 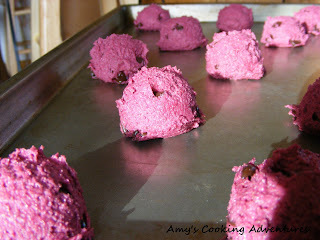 Dice the beets and put them in a medium bowl or large measuring cup. Pour enough for the water reserved from boiling the beets to just cover the diced beets. Pour mixture into a food processor. 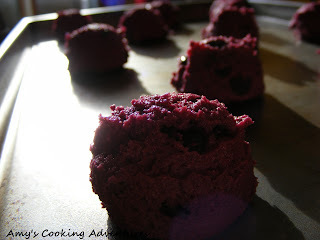 In the food processor, blend the beets until very smooth, stopping half way through to scrape the sides. Use immediately or freeze in ½ cup quantities in small bags.